It was released sometime around 2005.
experience some of the world‘s top dive sites, and see caves where edible birds‘ nests have heen gathered since antiquity. all within easy distance of a capital city? All these treasures and more, are found along Sabah‘s East Coast. Less than an hour‘s flight from Sabah‘s capital. 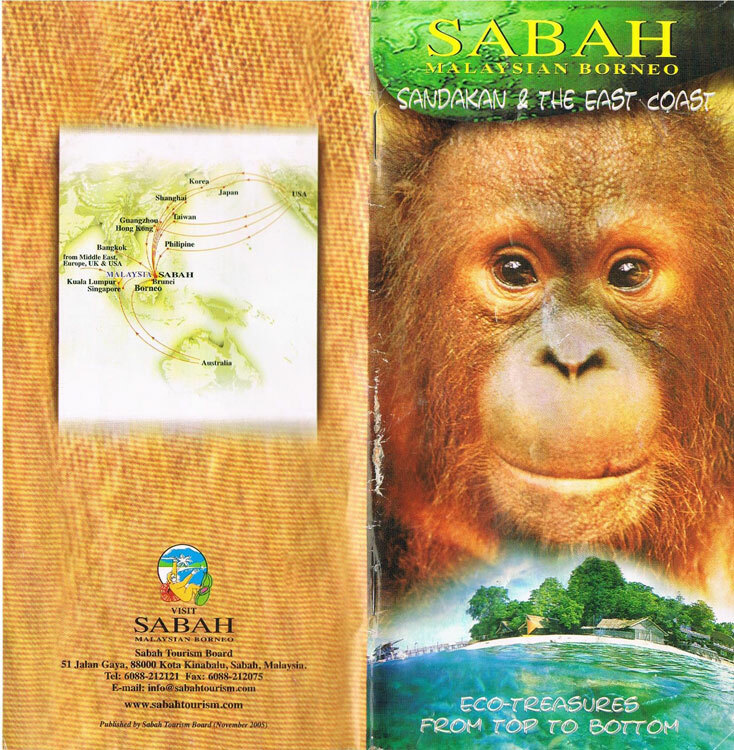 Kota Kinabalu‚ is the town of Sandakan, the gateway to the famous Sepilok Orang Utan Sanctuary, Turtle lslands, and Kinabatangan wetlands. 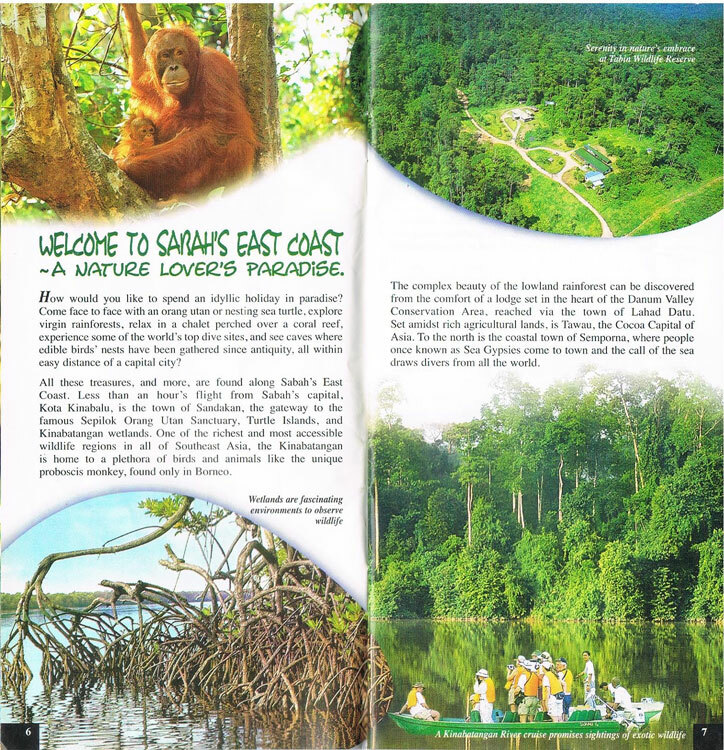 One of the richcest and most accessible wildlife regions in all of Southeast Asia. the Kinabatangan is home to a plethora of birds and animals like the unique proboscis monkey, found only in Borneo. 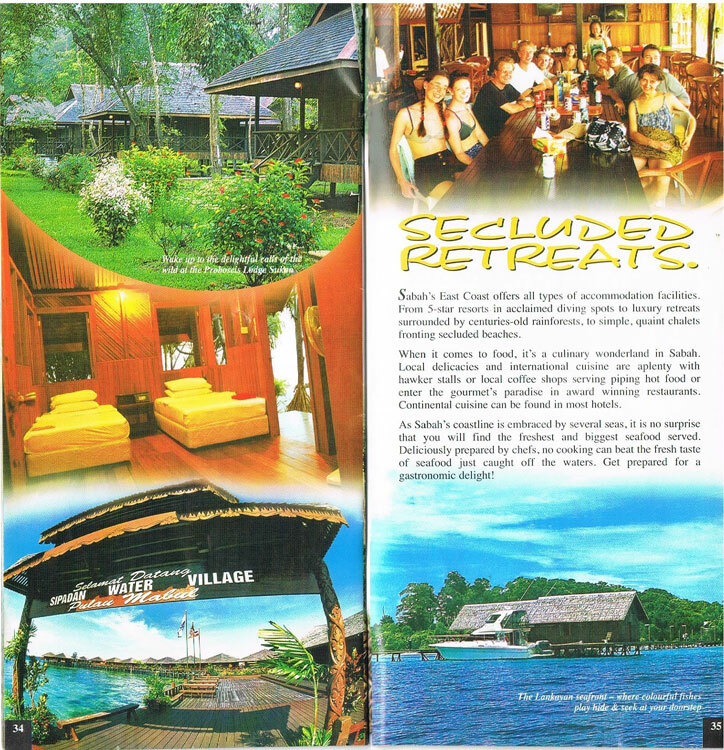 The complex beauty of the lowland rainforest can be discovered from the comfort of a lodge set in the heart of the Danum Valley Conservation Area, reached via the town of Lahad Datu. Set amidst rich agricultural lands is Tawau. the Cocoa Capital of Asia. 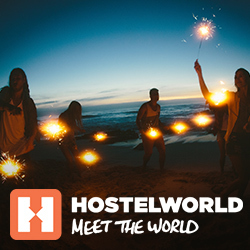 To the north is the coastal town of Semporna, where people once known as Sea Gypsies come to town and the call of the sea draws divers from all the world. Lankayan Island - located in the Sulu Sea, the northeast coast of Sandakan. This is a small island paradise with only one dive resort, surrounded by stretches of white sandy heaches. swaying casuarinas and beautiful sunsets. Desecribed as a true macro-world paradise. There are also larger marine creatures such as leopard sharks, marbled stingray and giant grouper as well as schools of bumphead parrot fish, yellowtail barracuda and scads. Nearby is the Turtle Islands Park, so the hawkshill and green turtles are also visitors in its dive sites. Mabul island - situated only about 15 minutes by speedboat from Sipadan. Mabul is recognised as one of the worlds best “muck-diving“ sites, one of the richest single destinations for exotic small marine life in the world. Flamboyant cuttlefish, blue-ringced octopus, mimic octopus, gobies and frogfishes are everywhere, as are moray, snake eels and practically the whole scorpionfish family. There‘s no douht aboui it. Mabul is a magical macro site! 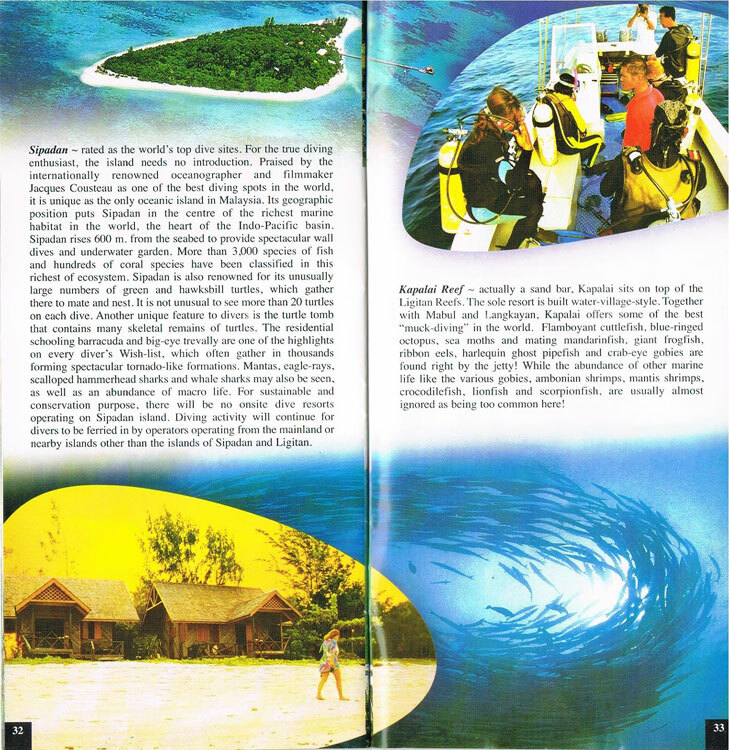 The beauty of Mabul and Kapalai will also appeal greatly to non-divers as well. There are two resorts on Mabul Island, with the third resort an off-shore returbished oil-rig. Sipadan rated as the world‘s top dive sites. 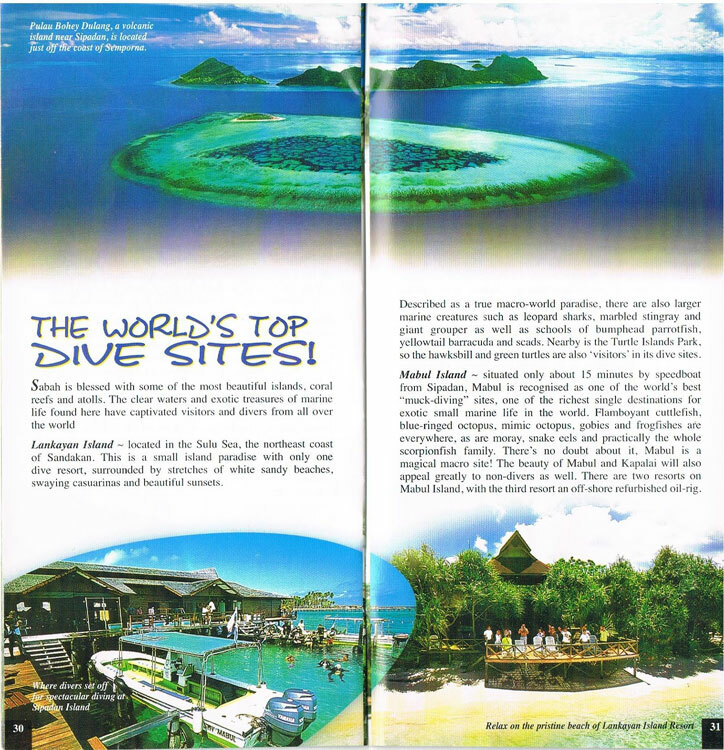 For the true diving enthusiast, the island necds no introduction. Praised by the internationally renowned oceanographer and filmmaker Jacques Cousteau as one of the best diving spots in the world, it is unique as the only oceanic island in Malaysia. Its geographic position puts Sipadan in the centre of the richest marine habitat in the world, the heart of the Indo-Pacific basin. Sipadan rises 600m from the seabed to provide spectacular wall dives und underwater garden. More than 3,000 species of fish and hundreds of coral specics have been classified in this richest of ecosystem. Sipadan is also renowned tor its unusually large numbers of green and hawksbill turtles which gather there to mate und nest. It is not unusual to see more than 20 turtles on each dive. Another unique feature to divers is the turtle tomb that contains many skeletal remains of turtles. The residential schooling barracuda und big-eyc trevally are one of the highlights on every diver‘s Wish-list, which often gather in thousands forming spectacular tornado—like formations. Mantas, eagle—rays, scalloped hammerhead sharks und whale sharks may also be seen, as well as an abundance of macro life. For sustainahle and conscevation purpose, there will be no onsite dive resorts operating on Sipadan island. Diving aactivity will continue for divers to be ferried in by operators operating from the mainland or nearby islands other than the islands of Sipadan und Ligitan. Kapalai Reef - actually a sand bar, Kapalai sits on top of the Ligitan Reefs. The sole resort is built water-village-style.Together with Mabul and Langkayan, Kapalai offers some of the best muck—diving in the world. Flamboyant cuttlefish, blue—ringed octopus, sea moths and mating mandarinfish, giant frogfish, ribbon eels, harlequin ghost pipefish and crab-eye gobies are found right by the jetty! While the abundance of other marine life like the various gobies, ambonian shrimps, mantis shrimps, crocodilefish, lionfish and scorpionfish, are usually almost ignored as being too common here! When it comeS food, it‘s a culinary wonderland in Sabah. Local delicacies and international cuisine are aplenty with hawker stalls or local coffee shops serving piping hot food or enter the gourmet‘s paradise in award winning restaurants. Continental cuisine can be found in most hotels. As Sabah‘s coastline is embraced by several seas. It is to surprise that you will find the freshest and higgest seafood served. Deliciously prepared by chefs, no cooking can beat the fresh taste of seafood just caught off the waters. Get prepared for a gastronomic delight! 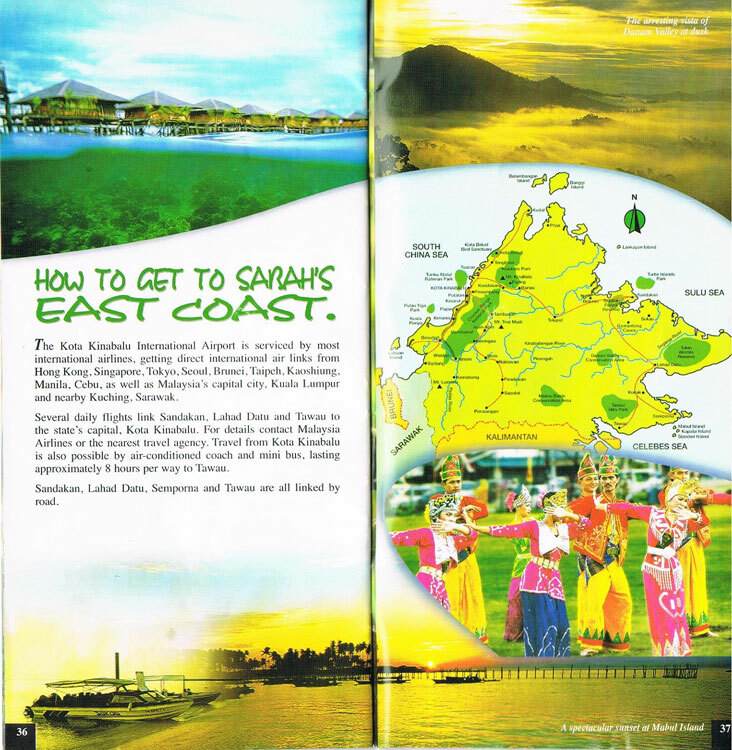 The Kota Kinabalu International Airport is serviced by most international airlines, getting direct international air links from Hong Kong, Singapore, Tokyo, Seoul, Brunei, Taipeh, Kaoshiung, Manila, Cebu as well as Malaysia‘s capital City, Kuala Lumpur and nearby Kuching, Sarawak. is also possible by air-conditioned coach and mini bus, lasting approximately 8 hours per way to Tawau. Sandakan, Lahad Datu, Semporna and Tawau are all linked by road.